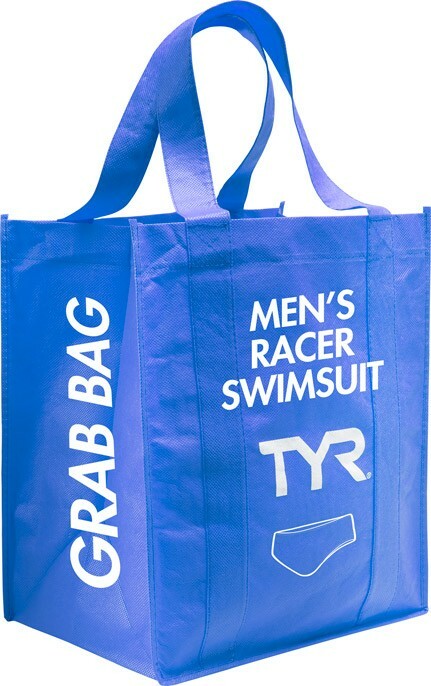 This men's grab bag includes a racer from one of our prior seasonal styles. Each suit is randomly selected and can be a solid or print. Great suits. Have purchased grab bags before and I've always been happy with them. I have ordered several racer grab bags and I have always been overly satisfied with the fit, quality, and style of the suits! Thank you TYR! I was pleasantly surprised and disappointed when I received my grab bag suit. It was very nice — black with blue sides. Since I swim every morning with the masters group, I had hoped for some hideous suit that would make for good conversation and a few laughs. Great Fit and Awesome Style! 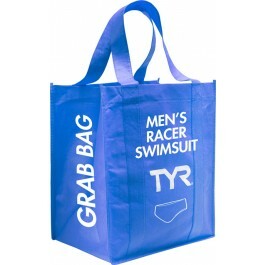 This is a second order I have placed for the grab bag racer swimsuit. They fit true to size as indicated and are amazing in the pool. Love the colors I have received so far. I will definitely be purchasing more in the future. Q: does the swimsuit come in black; american flag; tye dye or complex matrix? Q: How many suits in a mens grab bag? 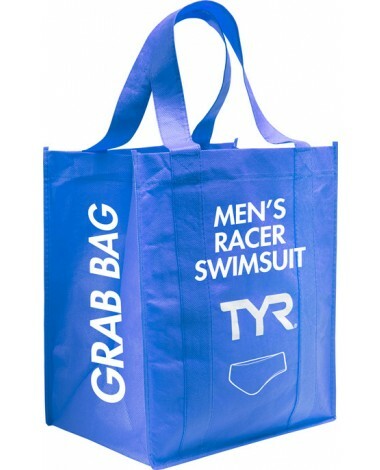 Q: how many swimsuit does de grab bag has?